From the early use of concrete, through to the development of prefabrication, prestressing, and machine manufacture. Buildings such as the Pantheon, built c. 126 AD by the Romans, show early use of concrete structures and their durability. 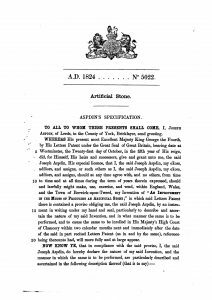 Joseph Aspdin (1778-1855) files patent for the world’s first Portland cement, named after its resemblance to Portland stone. French engineer François Coignet (1814-1888) builds the first structure using iron-reinforced concrete, a four-story house near Paris, which still stands today. 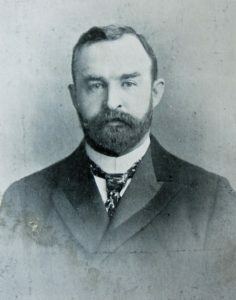 City engineer of Liverpool, John Alexander Brodie (1858-1934) experiments with the use of prefabricated concrete wall panels as a solution for housing. Concrete Ltd. (later to be renamed Bison Concrete) is founded, and begins making reinforced precast floors at its factory in Stourton, Leeds. 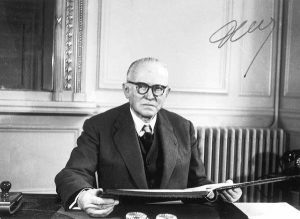 French structural and civil engineer, Eugène Freyssinet (1879-1962), files a patent for his prestressing techniques. He develops systems for anchorage and the use of high-strength steel wire. Concrete Ltd. are producing hollowcore slabs in wet cast concrete moulds. This is revolutionised by the introduction of withdrawable pneumatic cores, used to form the voids. Mechanisation and standardisation have revolutionised industry. 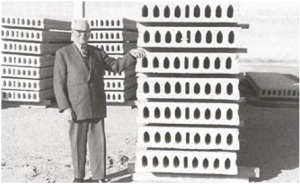 A Hungarian, Henry Nagy, buys a hollowcore machine from a German inventor, and Spancrete begin long-line casting in the US. 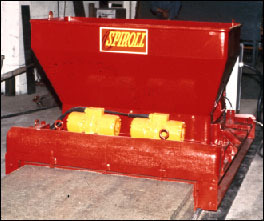 Spiroll hollowcore extruder invented by Glen C. Booth, of Building Products and Coal Ltd., in Winnipeg, Canada. Spiroll open an office in London to facilitate the sale of machinery around the world. Seven Spiroll producers from seven different countries found ISPA, in order to promote the exchange of knowledge. Spiroll International purchases manufacturing rights and trademark. Other extruder manufacturers such as Weiler (Germany) and Partek (Finland) continue development of the market. The remit of the organisation is expanded to include manufacturers using other extruders. Meanwhile, other machines are developed using the slipform method, such as Prensoland (Spain), Nordimpianti (Italy) and Echo (Belgium). 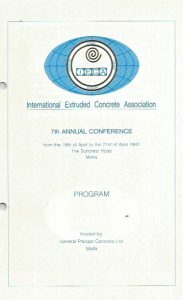 International Prestressed Hollowcore Association (IPHA) is formed. At the 7th annual IECA conference in Malta, Terry Treanor and Tony Crane (Bison) deliver a presentation, and the decision is made to expand the organisation to include slipform manufacturers. The First IPHA Annual Conference is Held. Hosted by Bison Concrete in Stratford-upon-Avon, it coincides with Bison’s 75th anniversary. IPHA’s annual conference is held in Florida, in cooperation with the Prestressed/Precast Concrete Institute of the USA. 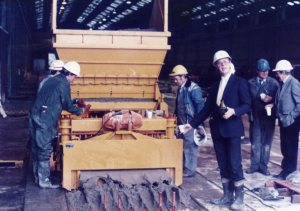 Following the death of IPHA Chairman Terry Treanor in 2003, an award for innovations within hollowcore is inaugurated in his honour. Marking 50 years from the formation of ISPA, IPHA commissions a written history of the organisation, and a new website is launched.